+Cousin Russ and Ol' Myrt here are excited to announce details of our Tracing Immigrant Origins Study Group that begins Wednesday, 14 October 2015. As with previous study groups, we will create a shared Google Sheet with all the links we discuss during the hangouts. 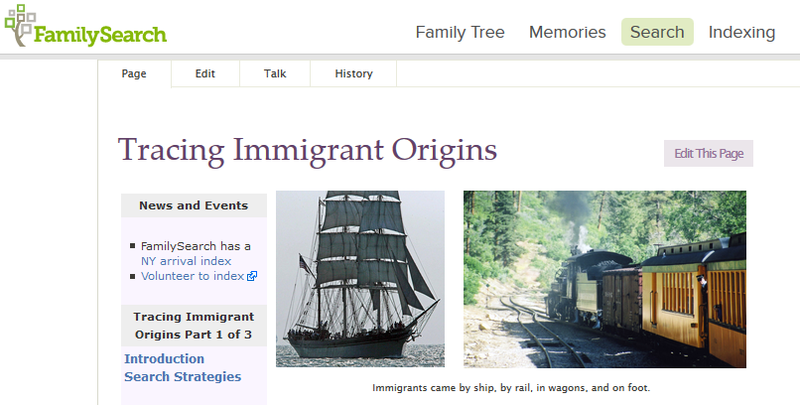 Attendees will note, we are using the FamilySearch Wiki's Tracing Immigrant Origins for syllabus material. It is not necessary to be part of the filmstrip panel to participate in this study group. "These Wiki pages introduce the principles, search strategies, and record types you can use to identify an immigrant ancestor's original hometown. These principles apply to almost any country. Finding an immigrant ancestor's place of origin is the key to finding earlier generations of the family. 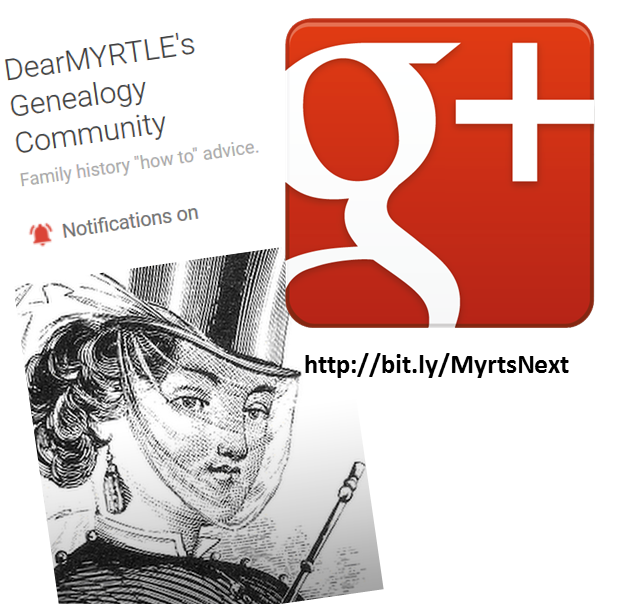 It provides access to many family history resources in that home area. Once you know a former place of residence or a birthplace, you may be able to add more generations to your pedigree." This is an introductory course, suitable for beginning and intermediate researchers concerned about 'jumping the pond' to extend research into an ancestor's homeland. We will consider select country of arrival and country of departure resources in addition to search strategies to improve research results. Participants new to the DearMYRTLE Google+ workspace may click on the link above. You will be asked to log in with your Google account. The next screen will permit you to preview our members-only community. Click the green 'request to join' button so you may post comments before, during and after each study group session. This keeps spammers and ill-mannered folk out of our study group space. We vet each participant by reviewing your Google+ profile. You may follow suggestions in our short-subject video called Tweaking Your Google+ Profile. We open the "green room" 15 minutes early if you'd like to test out your microphone and webcam. Consider JOINing the panel when we "scramble" to mix up the conversation a bit with new panelists.